E6Golf by TruGolf is the best-selling golf simulation software on the market. E6Golf is a physics based engine that replicates the precise behaviors of outdoor golf play. 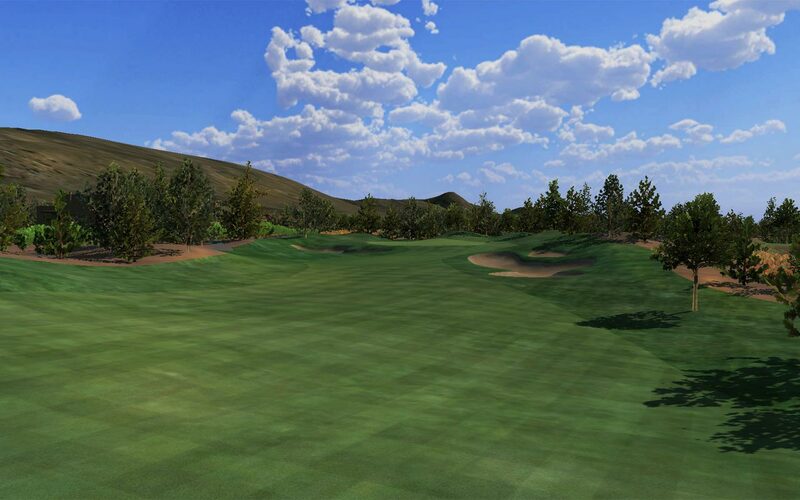 The newest installment of E6Golf is unparalleled in accuracy and wholly immerses players in a virtual environment. The new software features doubled resolution of terrain textures, improvements to the light model, more lifelike rendering, enhanced game-play and practice modes, and features higher than HD resolution (up to 4K compatibility). TruGolf’s software illustrates the nuanced beauty found at 86 of the world’s finest golf courses which include: Pebble Beach, Pinehurst, and Gleneagles, home of the 2014 Ryder Cup.